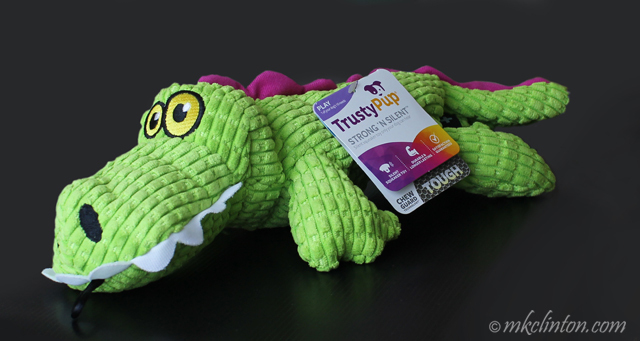 *Barking from the Bayou received this toy from Trusty Pup and Propel Communication in exchange for our honest review. Neither company is responsible for the content of this post. Have you visited our Amazon Idea Page? I’d love for you to visit the next time you need something from Amazon! 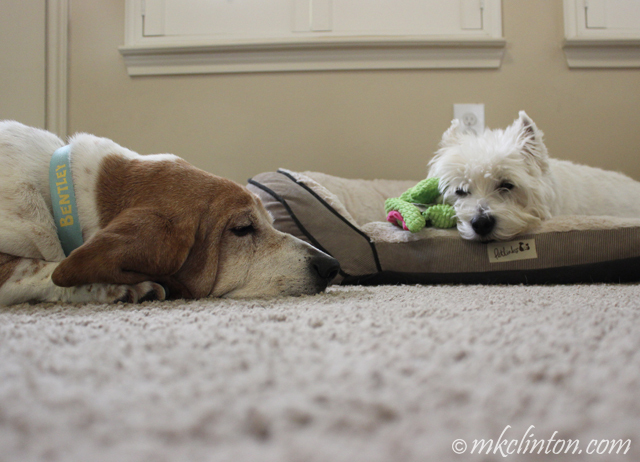 But are a squeaker really good if ya can't annoy da momma wif it? How adorable! 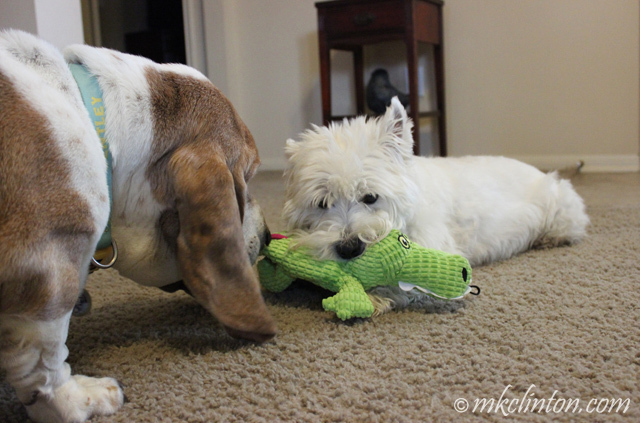 We will have to try one of these silent squeaker toys! He is super cute. 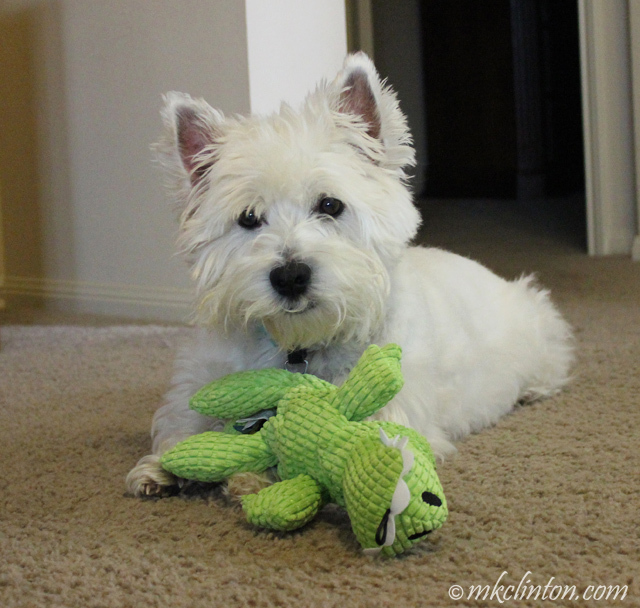 Bailie is our squeaky toy lover, but Mom loves to see and hear her running around squeaking her toys. She doesn't do it for long periods of time, so it is not bothersome. For people who are irritated by squeaking squeakerless would be great. Enjoy the gator. That looks like a great squeaky toy. 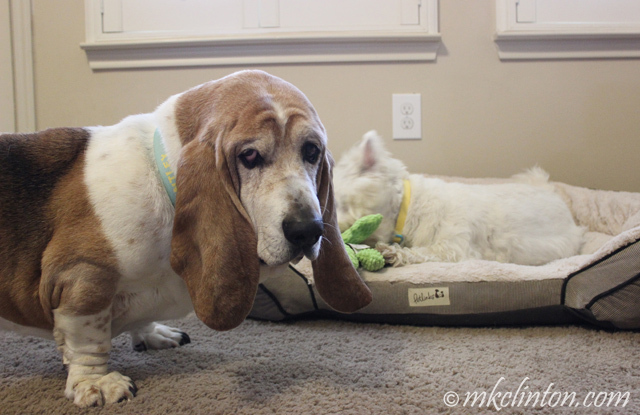 But I have yet to meet an indestructible squeaky toy! I have the Trustypup chocolate donut toy, and it is now in shreds and the squeaker has been removed, all by yours truly. But I still love it! 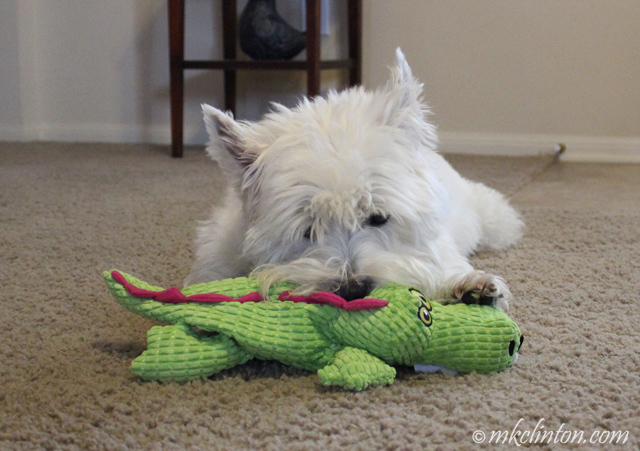 I love the squeaky toys that humans can't hear. Must have gator. 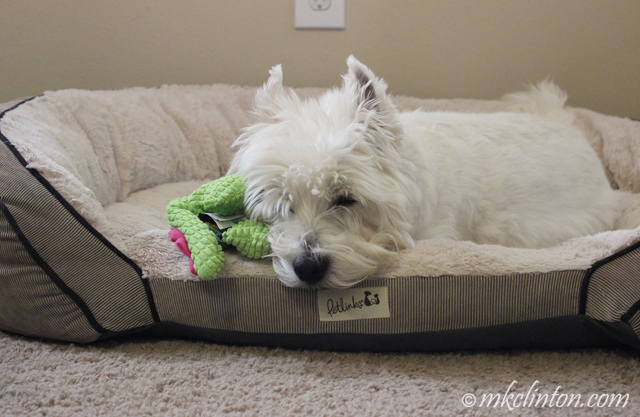 Hmm, I haven't lived with a dog...yet, so I don't know why squeakers are so irritating! Is it anything like a cat pawing a door stop....bwang bwang bwang...? I am so happy that your gator's teefs are the soft kind, Pierre! Whew...for a moment I thought something climbed outa Lake Houston. Enjoy that cute little gator...something more our style! Looks like it's pretty cuddly, so good work, P. That was a very thorough test. And that tough gator passed! Wow a toy that's tough and snuggly too! Oooooooo! You knows I loves me a good squeaky toy!!!! And a chance NOT to annoy Ma??? I don't knows....annoyin' Ma is in my job description....okays, I'm in! I'm gonna go check them out! 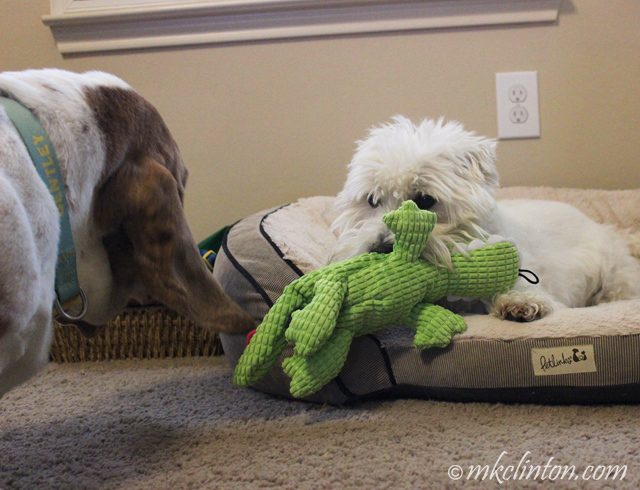 What a great gator, Pierre and Bentley! THat's really clever that the squeaker is ultrasonic! Hats Off to Hat Day!